Over the years many people have told me that they were interested in a home practice and wondered how to begin doing that. 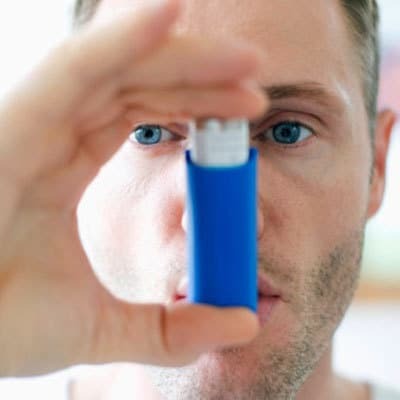 My answer is “yes its where the real, deep, potent stuff is.” and in the next breathe I caution that you need to have some yoga experience first of course. I LOVE my home practice. I’m so lucky that we have a room in our home dedicated as a yoga space, ok some toys in there too, but it’s an open space, with my alter and murties, mats, props, blankets, straps, bolsters, windows and view of sky and trees. It’s magical really. 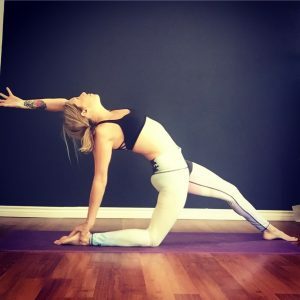 I practice almost daily, lately I’ve had an interesting twist to my home practice my Husband and I have been doing yoga together, most nights and its great. The practice, however, is more gentle which I enjoy too but my body needs a strong practice, I love inversions, arm balances, and experimenting with new modifications of poses. The cost is about what a studio drop-in class costs and the teachers are truly awesome. I also love Bruce Bowditch’s books as a visual guide. You can pick what level or type of practice. I often put on some yoga tunes and follow along. Other days I ask my body what I need and after years of training, teaching, and practicing I can create a sequence on the fly that fits my needs. I often think backward here, what poses have a not done in a while? What poses have I been avoiding? What poses are not my fav? Then I know there’s something there for me to do some work on. With a home practice, you can run or get distracted…. umm no you can and some days its far to easy, I need to do laundry, check emails, blah blah blah, so with time and devotion you learn that nothing is worth disturbing your practice time and those moments when you are about to give in to the distraction are often when you feel the deep squeeze of truth about to be revealed or accepted. It’s best to stay put, soften breath, and be present. Other times, the call of kula is what I need, community, heart connection, yogi friends, an inviting and safe studio, with great teachers. I always learn something when I go to a class, even if the teacher is brand spanking new, they will always say something that gets my heart and gets me ruminating, which I love. I am always a yoga student first so that means I am in a space of receiving and openness, it doesn’t work for me any other way, even when I am actually the teacher. The bottom line… just practice yoga. 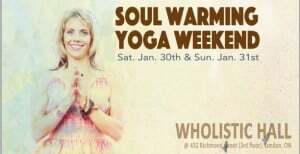 My Soul Warming weekend is coming up next weekend at Wholistic Hall. 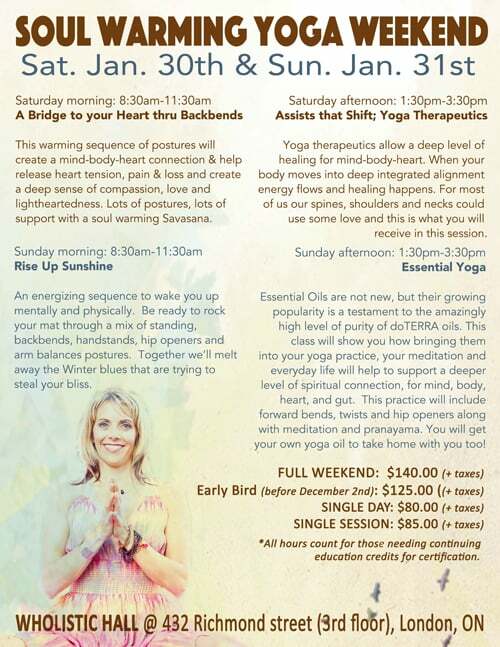 I really wanted to create an event smack dab in the dreary, cold, Winter months for the yoga community to come together for an event that will cultivate growth, inspiration, light, love and community connection. Each day will be a blend of asana combined with anatomy lessons, assists to help softly deepen the pose or guide the direction of energy in the pose, each day will also bring long, deep savasanas, pranayama (breath work to increase and balance one’s energy), meditations, inspiring messages or poems and on Sunday practicing yoga with essential oils (my absolute favourite). Students can be of any level to come for the weekend. My role as the guide on this journey is to provide the appropriate amount of challenge for each student will allowing people to expand but also to honour each persons boundaries and limitations as well. Please touch base with me before the event if you have a particular injury that may limit your practice and also that I can be there to help you in certain postures to ensure no further damage occurs. There is enough time each day to grab some lunch, take in a walk or grab a tea before the afternoon sessions begin. The cost is $140 plus tax for the weekend. You can also join for the day or individual sessions. The hours attended count toward continuing credits through Yoga Alliance, please indicate that you would like a certificate for the weekend so I can provide you with one. If you wish to pay cash please bring the exact amount to the event. If you haven’t been to the Hall the trek up to the third floor is so worth it. Candice has created a lovely space for practice. Parking is a bit tricky so give yourself a bit of extra time. There is a lot right behind the studio off of Queens that is reasonable and you can cut through at Spaghetti Eddies walkway, then take a right. It is upstairs from David’s bistro. If it’s your first time at Wholistic Hall please sign at waiver at the desk when you get there. I am so excited to have the time to be in yoga with such a dynamic group of people. There are just a couple spots left if you wish to attend you can sign up at the bottom of my website under events and you can also pay on line as well. If you wish to do an etransfer please send it to mindy.menard@yahoo.com. As I prepare for my next Yoga Teacher Training to begin, I’ve been looking through applications past and present. I put a question on the application that asks, What is your main intention for taking this training?” Honestly, I skip through everything else and head straight for that response. Did you know that for over 6 years I was a cable cop, oh yes I was. My job was to do audits on cable lines to see who was hooked up and stealing the cable, yahoo! I really freakin hated that job, but I did it day after day, I was sick, I was depressed, I was addicted to unhealthy things and I got laid off, a lot. Shorty after that I found myself signing up for a 2oo hour Yoga Teacher Training! WHAT?? ME??? 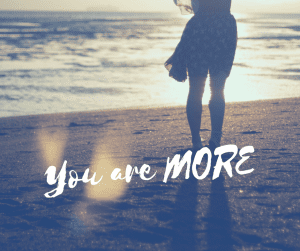 I am not enough, I could never…. I …. blah blah blah. 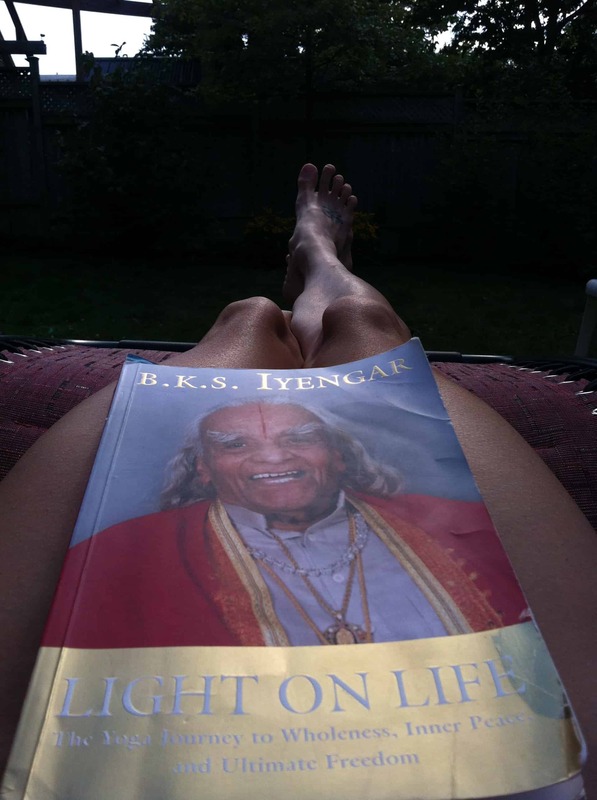 Sure I had no clue most of the time what was going on in YTT, it was a new language, Sanskrit, the Gita, Patanjali, Ayurveda, heck I couldn’t pronounce any of these words or even understand them but I loved yoga and that was really all that mattered. This is me just after falling out of a pose. Since then I have completed another full YTT and was working my way to certification in Anusara, that at the time was no easy task it took hundreds and hundreds of hours and a lot of time and money. Once Mayla, my 7 month old, gets older I intend to take another YTT was a new teacher and I will likely do a few more after that. 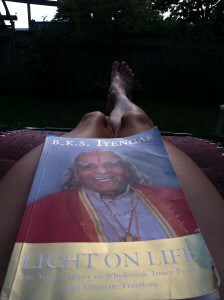 I love learning about yoga, yes I am a full blown Yoga-Nerd! So, if you are contemplating taking a Yoga Teacher Training but your getting in the way of yourself just move your asana aside and jump right on in. You do not have to be an expert, be able to do a drop back, the slits, pronounce Sanskrit and so on to immerse yourself in your yoga you only need an open heart. Why go to a yoga class if you can practice at home? There are so many reasons to get out to a class the first would be for the energy of the community. A yoga community is special. It’s a place where vulnerable hearts come together to practice yoga and to be in a place where energy is moved, harnessed and increased. Since I’ve recently come back to teaching after a wild ride the last few years and having my daughter 5 months ago, it’s been a super sweet reunion of sorts not just with me and the students but the students and the students. It’s a hug fest before and after every class. I love that yoga can bring us together in this way, don’t get me wrong the yoga community doesn’t come without it’s own icky drama but it all seems to get put aside when mats are unrolled and AUM’s fill the space. 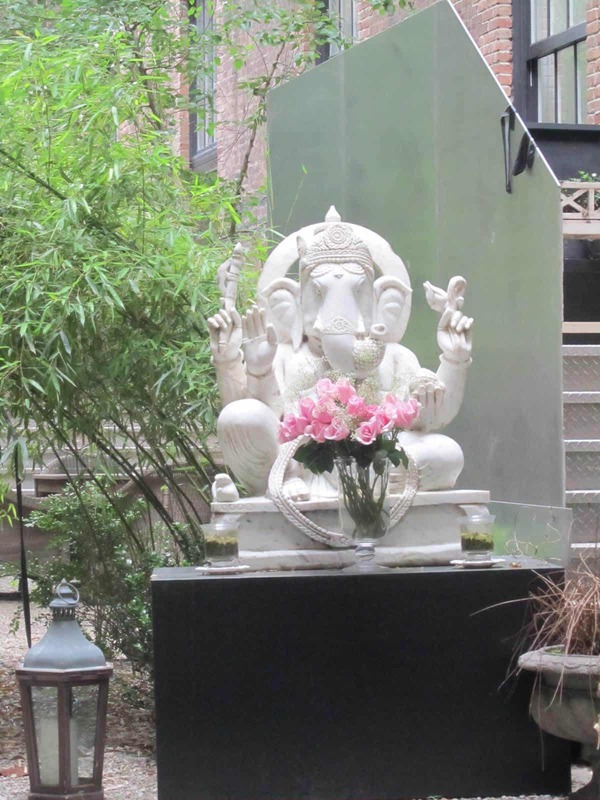 Another reason to get to class is that you are able to refine your practice. Although yoga teachers work hard to help you with your poses in terms of physical alignment a lot of teachers also incorporate poems, quotes, juicy little nuggets of wisdom to inspire you to a whole new level of practice for your spiritual alignment. I have found myself replaying so many soundbites from all of my teachers over the years, they are like my backup crew ready to pick me up when I’m down, give me courage when it’s tough, accept what is out of my control and to forgive myself for not being perfect and screwing up. Since everything is an energetic vibration we need to support the studios that are there, new and old. I had my own space for 7 years and it’s a mixed bag of amazing and also so hard at the same time. Money is a vibration and when you go out to classes you help support not just that studio but the entire yoga community. Studios often have at least a few teachers so even if you didn’t connect with one teacher it’s still worth trying out a different one. The path of yoga isn’t at all a clear path, it’s full of up and downs, moments of total bliss, heartbreaking truths, and complex human relationships between students and teachers and teachers and teachers and studio owners and students and that teachers teacher, ya follow? It’s total chaos sometimes but it’s orderly chaos! So even though yoga comes with all that it’s totally worth going. This message was an unedited thought coxed from the depths of my heart just to express some built up energy that needed to flow again. So thanks for reading.